Bridal dress pattern from McCall's. 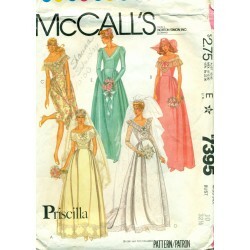 Includes beautiful, bridesmaid gowns. Floor length dresses with full, pleated and gathered skirt. These dresses can be sewn with on or off the shoulder styles, sleeveless or long sleeved. V-neck. One style has a cathedral length train. 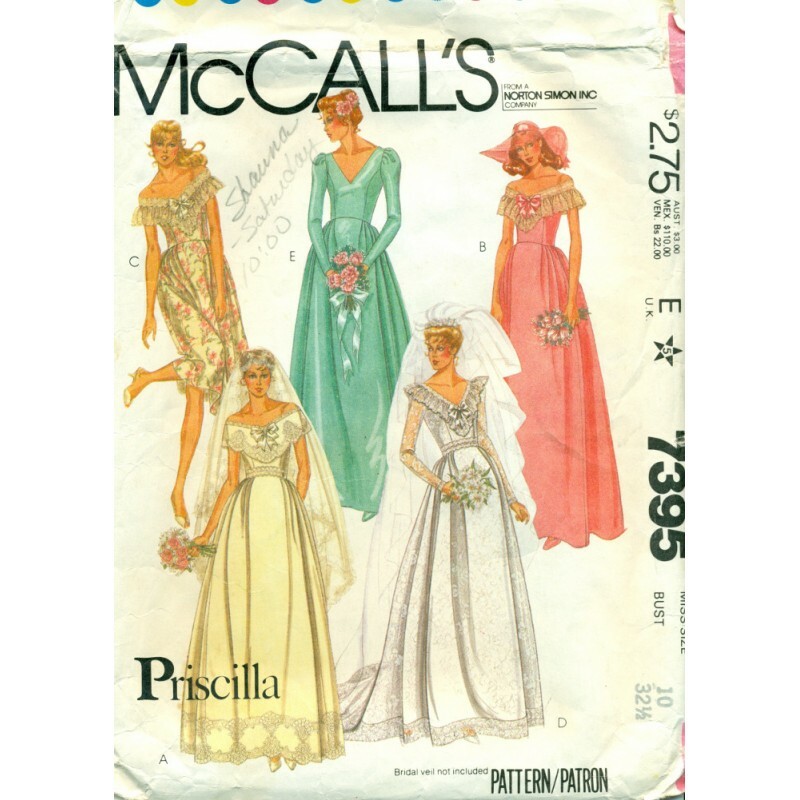 Not just for a wedding - you could sew a nice dress for evening wear with this bridal dress pattern. Condition : Checked and counted with the #6 elastic guide piece missing. All other pieces including the instructions are here. Envelope is intact but quite a bit of tearing and writing on the front.